Honor today announced the 8X, a new mid-range phone that offers many of today’s most-wanted features in a more affordable package. The 8X has a metal frame and two 2.5D glass panels forming the front and back. The device boasts a 6.5-inch FullVision display with full HD+ resolution at a 19.5:9 aspect ratio. 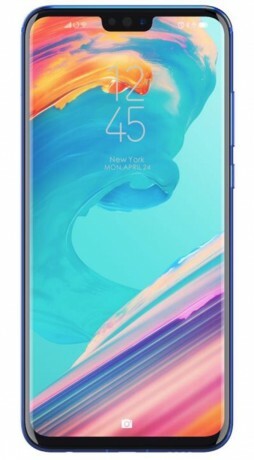 Honor says its chip-on-film technology and new antenna design allowed it to achieve a 4.25mm bezel along the bottom of the display, with a total screen-to-body ratio of 91%. The phone is powered by an octa-core Kirin 710 processor, based on the 12nm ARM Cortex A73, with a Mali G51 GPU. The 8X has a two-camera setup on the back, with a 22-megapixel full color main sensor at f/1.8 and a 2-megapixel depth-sensing secondary sensor for portrait/bokeh effects. The phone carries over some of the AI-based features of Huawei’s pricier flagships, such as automatic scene detection, blur reduction, and 3D portrait lighting. It can capture slow-motion video at up to 480fps. The front-facing camera has a 16-megapixel sensor at f/2.0. Other features of the 8X include a 3,750mAh battery, fingerprint reader, face unlock, 4/6 GB of RAM, 64/128 GB of storage, and support for two SIM cards. Based on the LTE bands included in the variants, it appears as though the phone may not be compatible with U.S. networks. Honor has not said exactly when the 8X will go on sale, nor what markets it will reach. Huawei's Honor brand is gearing up to announce the Honor 8X, a new mid-range Android phone with a large screen and a unique design. Huawei hasn't announced full details yet, but they did let us photograph it. LG today fully revealed the V30, a phone it has been teasing in bits and pieces over the last few weeks. This flagship-class handset has a metal frame and glass front and rear panels. Honor, Huawei's budget brand, today announced the Honor 10 at an event in London. The phone serves as an affordable option to the P20 Pro and offers similar features. LG today said its "next flagship smartphone" — widely believed to be the V30 — will be the first to adopt a plastic OLED FullVision display. LG has used plastic OLED before, notably on the 2015 Flex 2, which was in fact curved and flexible. Huawei today provided an in-depth look at the Honor 9, the top handset for its Honor brand. The Honor 9 picks up where the Honor 8 left off last year thanks to its curved glass and aluminum frame.